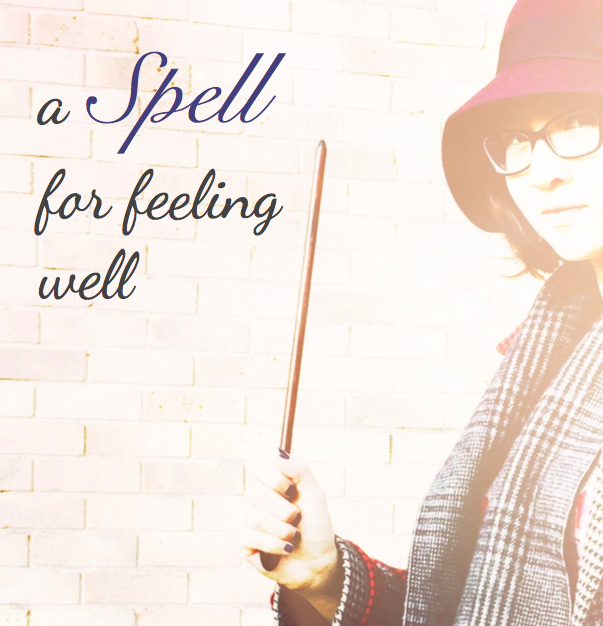 consult A Spell for Feeling Well. Most likely you already know what makes you feel better, but when you’re feeling down it’s hard to remember. That’s why it’s important to take the time to map it out, and keep adjusting as you notice what helps. This is a step-by-step list to follow, so that all you have to do when you need it is cast the incantation to reveal the map you’ve made. You can print it out and fold it up, like the actual Marauder’s Map, or you can copy-paste into a note on your muggle phone. No thanks, just send me the Spell.